Ever wonder How do I get started in photography? Or, What is the quickest way to become a professional photographer? Learn the answers to these questions and much more on a recent student interview. -Did you go to a school for photography? If so, Where? My education in photography started while I was stationed in the US Air Force. I knew at that time photography was what I wanted to do. I enrolled in a Home Study course from The Famous Photographers School. It taught me the basics such as lighting, composition, posing, understanding how shudder speeds and apertures affect photography and so much more. The course consisted of a four volume ring binder set and 24 lessons. When you completed your lessons you would send them back for review and grading. The books were very high quality with outstanding images in them. The reason it was called “The Famous Photographers School” was because on the guiding faculty were some of the top names in photography at the time. Each photographer had their own area of expertise such as Fashion, Portrait, Photojournalism, , Advertising, Children and Pet Photography. The photographers affiliated with the school were Richard Avedon, Richard Beattie, Joseph Costa, Arthur d’Arazien, Alfred Eisenstaedt, Harry Garfield, Philippe Halsman, Irving Penn, Bert Stern and Ezra Stoller. All top names and you may even recognize some of the names today such as Richard Avedon, Irving Penn and Alfred Eisenstaedt. Many also did work for Life magazine. Looking Back I’d have to say it was a great learning experience. Even though photography has gone from film to digital capture, many of the principals still apply. You may be able to find some of these volumes on ebay or Amazon. A little while ago, I purchased Volume one of the Famous Photographers Course just for nostalgia. After I was discharged from the Air Force, I started my own part time business doing things like portraits and weddings and some product photography. It was at that time that I found out about several photographers giving workshops and seminars and I attended. Shortly after I joined the Professional Photographers of America (PPA) and the Wedding Photographers International, now called the Wedding and Portrait Photographers International (WPPI). Here’s were I really learned so much not only in photography but also very important, the business of photography. 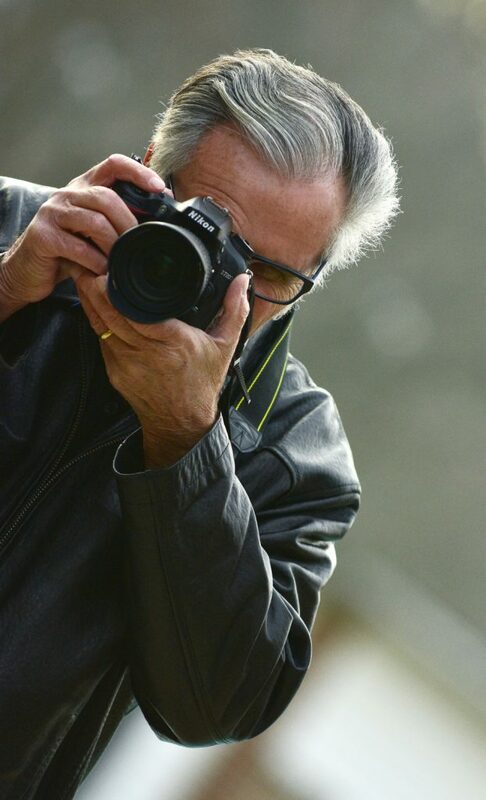 Several years later when I became a full time photographer I joined my state and local photography groups which were the Professional Photographers Association of PA and the Northeast Pennsylvania Professional Photographers Association. This helped expand my knowledge even more. I also attended the Triangle Institute of Professional Photography in Pittsburgh, PA several times. This was an excellent 5 day learning program that could definitely get you to pro status in no time. This was affiliated with the PPA. As the name implies, Triangle draws most of it’s members from the Tri-State area of Pennsylvania, Ohio and West Virginia. Unfortunately Triangle Institute of Professional Photography recently closed their doors. Many other states have similar learning programs so check this out in your area. With such a large contact of photographers I got to know and became friends with some of the top photographers in the world. I also became active in international and national as well as state print competitions and eventually did quite well. And as a result I was awarded my Master of Photography and Photographic Craftsman degrees from the PPA. I was also asked to speak at conventions and photographer meetings on occasion. -Does college experience give you the upper hand in this field of work? No! I don’t think it does. It certainly can’t hurt but one can get a great education by attending workshops and seminars and of course research. The one thing a good education can give you is the ability to communicate with the people you are photographing. Through education along with experience, you’ll be able to have a good understanding and rapport of their interests and culture differences. This can put you in their circle as you attract the type of clientele that want and can afford your photography. Another great way to learn and gain experience is to become an intern with one of the top photographers in your area. -What’s a normal day as a photographer like? That would depend on what type of photography business you are in and to what level. When I had my full fledged studio going in PA I was very very busy. I wish I could tell you it was all fun in photography but it wasn’t. There is very much administrative work involved such as filling out forms, collecting and making state sales tax payments, payroll taxes, accounting, scheduling appointments, designing brochures and now web sites, marketing so you would have appointments, making and taking phone calls, wedding consultations to book weddings etc. The remaining time of the work day was devoted to actual photography. This was the fun part. This was after all why you went into business in the first place besides trying to make a living. This is also when a really good employee is necessary. And I had one. I hired her as a receptionist even though she had no experience in the field, but I saw her passion in wanting to come work at the studio. She worked out really well and we got along great. After a while, she could handle most of the duties there except the photography in the studio which is what I did. I also trained and had assistants and other photographers helping with weddings and some Saturdays we could do five weddings. -What kind of money does the average photographer make? This really depends on how hard and how smart one works and what level the photographer is at. If just starting out, one may only make a few hundred dollars a year or may end up losing money the first few years if one gets too deeply in dept with equipment purchases and excess overhead. I also know of some photographers who do quite well. They may have a very large operation or chain of studios and besides knowing their craft of photography, they are very business savvy and know how to make a profit. Many of these owners then become better business people then photographers. -What’s the easiest way to make money from photography? I’m not sure there is an easy way. But first I would recommend you follow your passion and see what really drives you. For me it was Portraiture and Wedding Photography. I really enjoyed photographing people in love. And to this day, I really enjoy the making of and even just looking at this type of photography. When looking at all the prints in the print competition, I enjoyed this the most. For some it may be photojournalism, sports photography, fashion etc. Whatever it is, find out what you really have a passion for and then strive to become the best at it. You will more than likely have to make sacrifices and work hard. But if you have that passion it’s really not work. Physical labor and construction is hard work. -What kind/brand of camera would you suggest? At the moment there are so many great cameras out there. Until recently, most pros shot with either Nikon or Canon. They have been leaders in photo equipment since the film days. When digital photography first started becoming popular with professional photographers, many of us went with the system that we had in 35mm. Even though just about every pro used medium format equipment, most had some sort of 35mm set up. So if you owned Canon gear you usually went with Canon DSLR cameras. If you owned a Nikon system you would go with Nikon or Fuji because at that time when the Fuji S1 and S2 came out, they became overwhelmingly popular for pros in the earlier days of digital photography. In my case, I went with the Fuji S2 and later the Fuji S3. They accepted only the Nikon mount lenses. And since I had several Nikon Lenses, I decided to use mostly Nikon cameras and still do. I also use Fujifilm’s mirrorless cameras. Many pros have gone to mirrorless. Sony has their A7lll & A7Rlll which are amazing. They are not only mirrorless but also have a full frame sensor. As I write this, Nikon has recently came out with their full frame mirrorless bodies, the Z6 & Z7. Many people believe down the line that the mirrorless system may replace the DSLR systems. That may be. It also may be a great opportunity to use both systems. If you are new to photography and have the funds, I would consider starting with a good mirrorless full frame. If your funds are currently a little limited, then I would take a look at an APS-C crop sensor Nikon D7200. Since I am a Nikon shooter, I can recommend this brand because I currently still use the D7200. I believe it is amazing for what they are currently selling for. Other brands certainly have their own great cameras bodies and lenses. The Nikon D7200 is a fantastic camera. It is relatively compact, sturdy and shoots and focuses really fast. Plus, at 24 mp it is more than adequate for most portrait and wedding photographers. It also does HD movies. All this at a price of currently under $800. This is a far cry from the amount we would spend on medium format equipment. I used both Mamiya RB67s and Hasselblads and at that time when I bought my 30mm Hasselblad lens, I believe I spent close to $5000. At this time, the Nikon D7200 is hard to beat, especially if putting good glass on it. If you want new technology in Nikon best APS-C format and have the funds, then take a look at the Nikon D500. -What editing program do you suggest? Adobe Photoshop, ACDSee and Smart Photo Editor are what I use most in doing my photo editing. I use both Adobe Photoshop CS5 and Photoshop 7. I really like 7 because it’s super fast and has most of what I need to edit my photos. This serves me well now because I spend much of my time in educating other photo enthusiasts. However, if I were running a full-fledged photography operation again today, I would most likely sign up with an Adobe Creative Cloud Photography plan. Someone just starting out today, may want to consider Photoshop Elements. It is relatively inexpensive and though not as sophisticated as CS5, it gives you most features a beginner or even a pro would need. They key is to make great images so you don’t have to spend too much of your time correcting your images. The Nikon D7200 gives me great color right out of the camera. -When did you realize your interest in photography? It all started when a friend in grade school showed me some black & white photographs he took with a Kodak Brownie Boys Scout camera. I was fascinated and fell in love with photography right then and there. I begged my mom to buy me such a similar camera and she did. She bought me a Kodak Brownie Starmite at a Thrift Drug store that was near where we lived. I would take the Brownie to school and take some photos out in the school yard. I still have some of those photos today. -What’s the best way to get your photography discovered? Again, this depends on what type of photography you do or want to specialize in. Another type of photography one may want to consider getting started in is Stock Photography. This type of photography has become very popular in that people purchase these images for certain usage rights for projects they are working on and when these images are purchased, the photographer gets a certain percentage of the sale. Once you have lots and lots of images, you may want to contact and open an account with a stock agency such as Istockphoto. Once approved, photographers can begin uploading their work through the website and when a sale is made, the photographer gets paid. Stock photography covers a large range of subject matter. There are many photographers who will do an assignment just so the photo can be sent to a stock agency. On the other hand, if your field is wedding photography, you may want to consider bridal shows in your area. Here is where you get to meet all the brides who are in the beginning stages of planing a wedding and may be looking for a photographer. You have your best work on display. Show different styles of wedding albums and also have large wall portraits on display. I recommend showing albums and portraits of engaged couples as well since this is another revenue stream that ties into wedding photography. Wedding Photography may take a little bit of time to get into since when one starts there are no samples to show. The best way to start is to offer your services to friends and relatives who are on a tight budget yet would still love to have photos taken at their wedding. This is pretty much how I got started. My friends and people I worked with were getting married and asked me if I would take their wedding photos. I did my first six or seven weddings that way. That’s how you get your samples. Also having a web site is a fantastic way of getting your name out and for people being able to see your sample photos. If you wait to get discovered, you’ll probably go hungry. You have to make it happen. I have many. Some are friends, but if I had to choose one I would say Yousuf Karsh. Karsh is no longer with us but has left a legacy of great images. Yousuf Karsh’s dramatic images of public figures like Winston Churchill and Ernest Hemingway made him one of the most famous portrait photographers of the 20th century. I was fortunate to have been able to see him give a lecture at Muhlenberg College and see many of his spectacular portraits on display. I will always remember those images and the impact they had on me. -What’s your best tip or advice you can give someone pursuing a career in photography? Pretty much what I wrote above. Learn as much as you can. If you have a passion for photography you will never stop learning. Photofonz.com © 2019. All Rights Reserved.